A year-round programme of festivals means there is always a party going on, whether it's a moules frites night in the local village or Lorient's renowned annual celtic music festival. 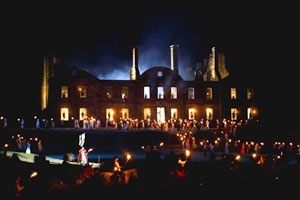 Pictured here is one of Brittany's most spectacular events, Le Son et Lumiere, which takes place over a fortnight in August at the Abbaye de Bon Repos, beside the Lac de Guerledan. With the abbey ruins as a backdrop, the story of Brittany is told with the help of 400 actors, horses, cattle, dogs and stunning stage, lighting and sound effects. It's a sight not to be missed. This part of Brittany is perfect for road cycling, with quiet roads (guests are always amazed at the lack of traffic), rolling hills and more challenging climbs if you want them. If you don't want to venture too far from the gites, there are some lovely cycle routes on our doorstep. Cycling is a French passion and this part of the country is well-equipped for the sport, with clear roads for racing and voies vertes (nature trails) for mountain biking, or the Nantes/Brest Canal for more gentle cycling (pictured here). Bring your own bicycle or we can arrange for bike hire. New for 2018, we are running cycling holidays for groups of around 10. Morbihan's beaches are ideal for children. Our closest beach at Larmor Plage is a large sandy beach with safe swimming and shallow rock pools for exploring, while Guidel and Kerfany have great sandy playgrounds. Families with small children often prefer to spend the day at one of the lake beaches, either at the nearby Priziac (10 minutes drive) or at the Lac de Guerledan (30 minutes). Kids will also love the Odet leisure park, the deer park at Sterou where you can explore in a golf buggy, tree-top adventure forests, and the outdoor pool at Pontivy (pictured here). 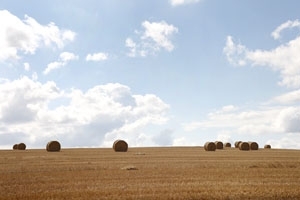 Capture the landscapes of Brittany on a painting or photography holiday. We are happy to arrange tuition from local experts for individuals or small groups or we can direct you to some of the most picturesque locations. You don't need to go far to find beautifully remote spots. In fact, the views from the terrace at Guebernez are well worth putting on to canvas in every season. Surrounded on three sides by the sea, dotted with lakes and criss-crossed by canals, Brittany is a top destination for watersports. Some of France's top sailing schools are on the Morbihan coast. At the nearby lake at Priziac and at the Lac de Guerledan (pictured here), you can hire canoes, kayaks, water skis, pedal boats and sail boats, and take lessons too. The Nantes-Brest Canal is a popular spot for canoeing and kayaking and passes through some of Brittany's prettiest towns and villages. Brittany is also known as an excellent fishing region, both on the coast and in rural areas.